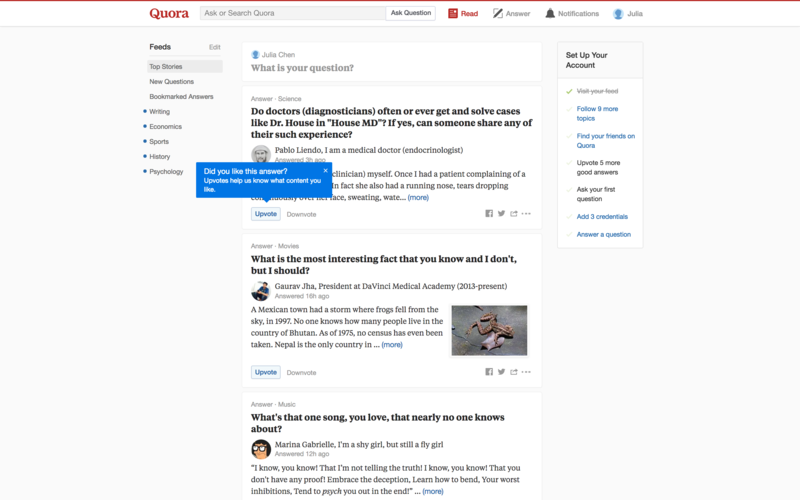 As part of the first time experience, Quora uses a single tooltip to show new users the value of upvoting. The tooltip is targeted to new users. It would be out of context for highly engaged users who are well-versed in upvoting. The copy on the tooltip doesn’t just explain how to upvote (which is pretty evident). Instead, it focuses on why upvoting can provide a more personalized experience for the user. Single blue tooltips for feature discovery are very popular right now.